Today, we expect presidential candidates to come to us. They speak on the capitol steps, at memorials, and in high school gyms. They shake hands, meet local leaders, and in Indiana at least, make sure they’re seen eating a homemade pie or pork tenderloin of local renown. Beyond these appearances, however, campaign ads, emails, and social media posts bring candidates into our living rooms, our inboxes, and our daily lives. 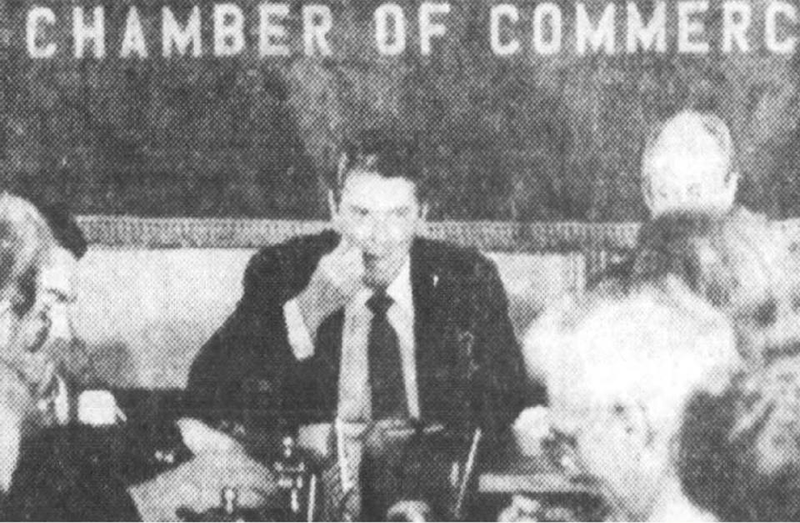 President Ronald Reagan Eating Peach Cobbler at Mac’s in Mooresville, Indiana, June 19, 1985, photo located in the Philadelphia Inquirer by Justin Clark for his research into Reagan’s visit. This was not always the case, however. In fact, for much of U.S. history, such active campaigning was seen as power hungry, uncouth, and beneath the dignity of the office. While they didn’t hit the campaign trail, the candidates were still working hard to win over voters with events and promotional material. If we start our story in Indianapolis, Indiana, in 1888 and close it twenty years later in Brook, Indiana, we see a sea change in Republican Party campaign tactics. And believe it or not, our modern barrage of presidential politicking owes a lot to the 1908 presidential campaign of William Howard Taft. 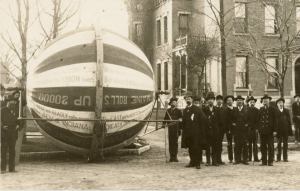 “Harrison and Morton Campaign Ball,” 1888, Benjamin Harrison Presidential Site, accessed University Library, IUPUI. During the 1888 presidential campaign, Hoosier candidate Benjamin Harrison and incumbent President Grover Cleveland mostly stayed home. That’s not to say they weren’t politicking. Harrison ran a “front porch” campaign, speaking to crowds that gathered at his Indianapolis home and the reporters he invited to cover the event. Political organizations produced “posters, political cartoons, speeches, rallies, parades, brass bands, and torchlight demonstrations” in support of their candidates (Miller Center). 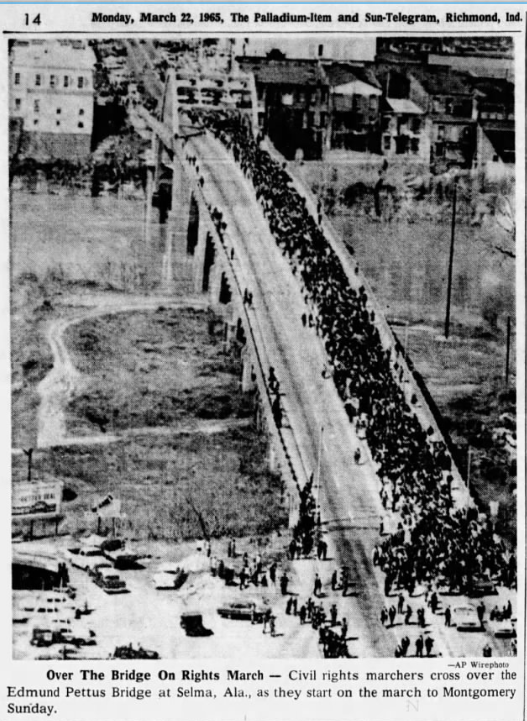 And while Harrison stayed in Indianapolis, his supporters took the campaign on the road for him with a memorable publicity stunt. Inspired by a gimmick used for his grandfather William Henry Harrison‘s successful 1840 campaign, a Maryland supporter built a steel and canvas ball and rolled it 5,000 miles across the country to Benjamin Harrison’s home. In an attempt to draw comparisons between the two Harrisons, the campaign slogan became, inevitably, “Keep the Ball Rolling.” Harrison won the presidency, losing the popular vote, but carrying the electoral college. During the rematch in 1892, Cleveland declined to campaign out of respect for Harrison’s wife’s illness and Harrison made only a few public appearances. However, the Republican Party only tenuously backed Harrison because of “his failure to resolve three national issues,” and Cleveland won easily in 1892. 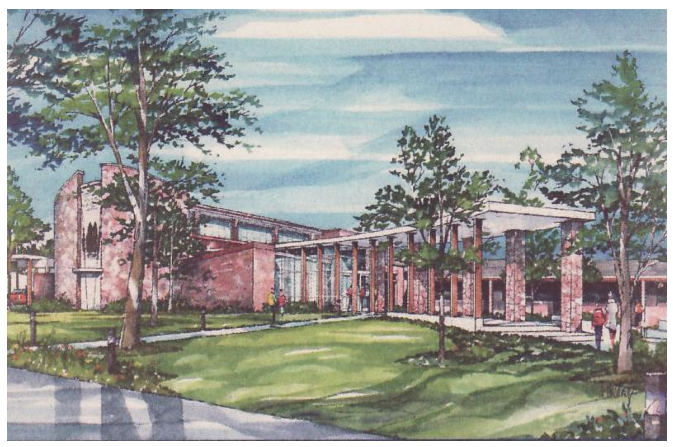 (more here: Miller Center). 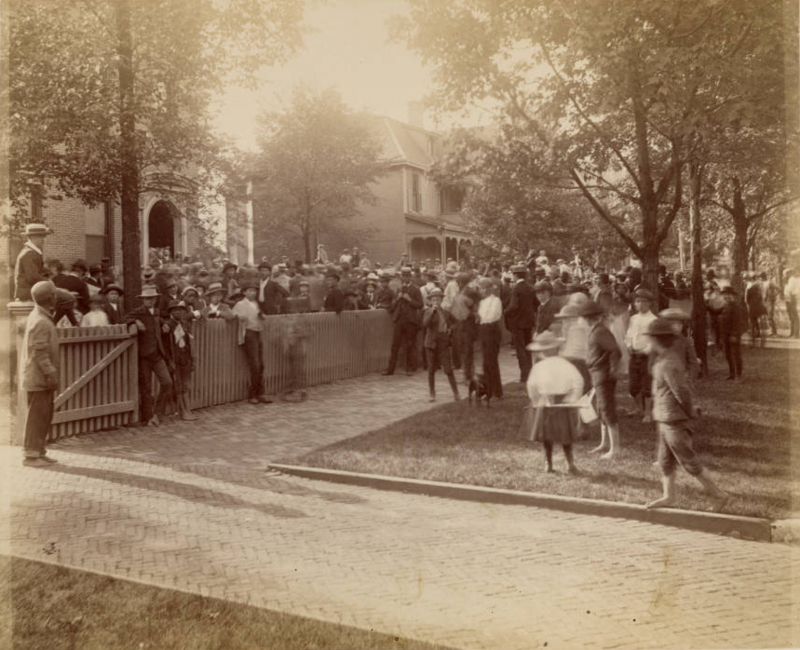 “Photograph of Campaign of 1888 in Front of House,” 1888, Benjamin Harrison Presidential Site, accessed University Library, IUPUI. Library of Congress Caption: “Theodore Roosevelt, Joseph Cannon, members of the Republican Nomination Committee, and guests in front of Sagamore Hill, Oyster Bay, N.Y.,” Underwood & Underwood, publisher, c. 1904, August 4, accessed Library of Congress. William Howard Taft doesn’t get a lot of love as a president. He was indecisive, easily railroaded by Congress, and never wanted the office as badly as his wife or TR wanted it for him. However, the strategy crafted by Taft and his advisers to win the 1908 election was brilliant and the fierce showdown of the two major party candidates changed campaigning forever. And for the Republicans, it started just outside tiny Brook, Indiana. Muncie Evening Press, June 24, 1908, 3, accessed Newspapers.com. Taft was TR’s handpicked successor to the presidency and thus had the backing of a beloved president and the powerful Republican political machine. He easily won the nomination at the June 1908 Republican National Convention in Chicago. However, Taft had an image problem – one that could lose him the essential votes of farmers, laborers, and African Americans. As an U.S. Circuit Court of Appeals judge, he made several anti-labor decisions. In 1894, Taft had ruled against the railroad workers of the Chicago Pullman Strike. Taft’s Democratic opponent William Jennings Bryan, (remember him?) on the other hand, was a Populist who appealed to laborers and farmers by promising to protect their interest from the Republicans, who were backed by exploitative big business. 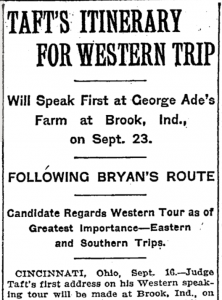 During the 1908 campaign, Bryan, now on his third presidential run, again stormed the U.S. like an evangelist, talking directly to the people and criticizing Taft’s anti-labor record. This time, it seemed, the Republican candidate was not going to be able to stay home. 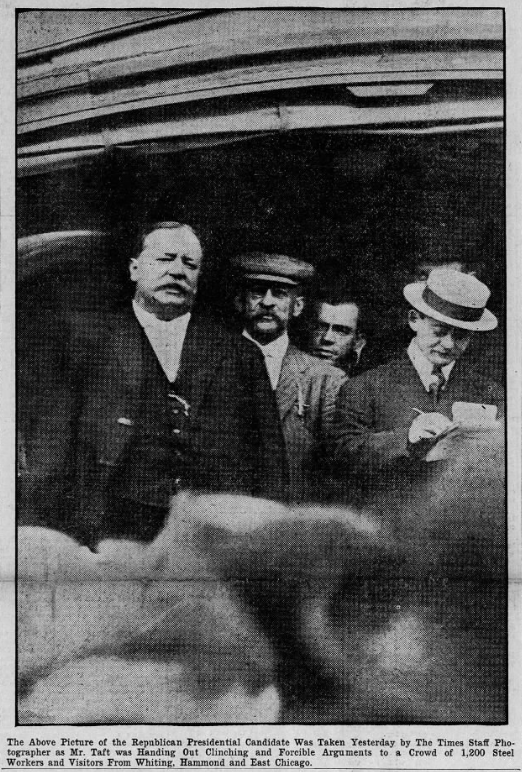 Taft needed to defend his record, assure workers that the Republican Party backed their interests, and smile and shake as many hands as possible. Meanwhile, in Indiana, the Republican Party was in danger of being torn apart over temperance (prohibition versus local option). Leaders thought that a visit from a national candidate could unify the party at least for long enough to push through a Republican state ticket. 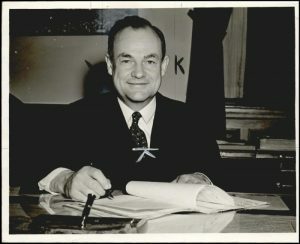 Charles S. Hernly, Chairman of Indiana’s State Republican Committee, could see that the base needed a flamboyant event to generate enthusiasm for the Party. Recalling a promising conversation from the previous spring, he formed a plan. It involved George Ade, a native of Newton County, a beloved Indiana author, and a dabbler in local politics. By this time, Ade had achieved financial success as the writer of clever and observant fictional stories for books and newspapers. He gained fame as the wit behind several popular comedic Broadway plays. 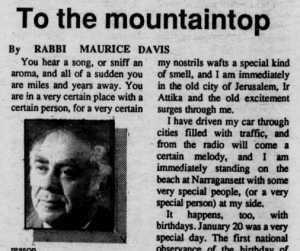 Ade was known for using humor and rustic, slangy language and was often compared to Mark Twain. He had done well for himself and wisely trusted his brother William to invest his money in real estate. 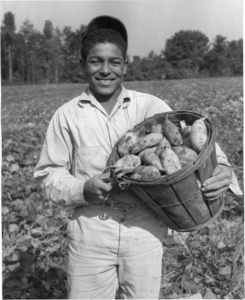 “George Ade,” photograph, n.d., Indiana State Library Photograph Collections, accessed Indiana State Library Digital Collections. 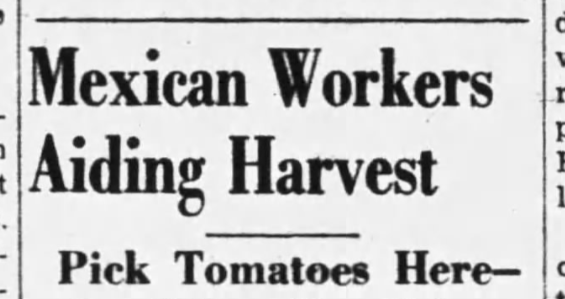 Indianapolis Star, August 20, 1908, 1, accessed Newspapers.com. Hernly had colorfully expounded on the day’s details for reporters. He listed the names of prominent state and national politicians who would likely speak, “all the big guns,” and promised a meal of “roast beef, potatoes, bread and butter and coffee” for the Midwestern farmers who were invited to attend. 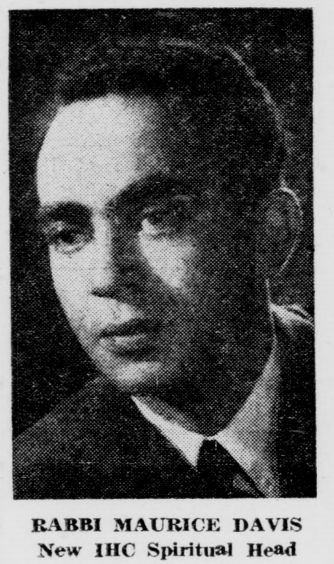 Hernly emphasized that Ade was “enthusiastic in his support of the Republican ticket,” and the reader assumed, the event to take place at his estate. “The only thing that is bothering Mr. Ade is the fact that it is going to take forty of his best beef cattle to satisfy the hunger of the crowd,” Hernly claimed. Ade was now in an impossible position. He would have liked to “have headed off the barbecue idea,” but was also an enthusiastic Republican who wanted to help his party. [Indiana Magazine of History] He had served as a visible delegate to the Republican National Convention where Taft was nominated – a fact that made headlines even in the New York Times – and as a member of the notification committee that formally told Taft of his nomination. Ade was a respected figurehead for the party. 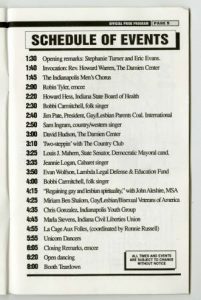 If he were to refuse to host this now public event, he risked further demoralizing the already troubled Indiana Republican Party. If Hernly meant to force Ade’s hand, it worked. The “biggest Republican rally of the coming campaign” would be held in George Ade’s backyard. 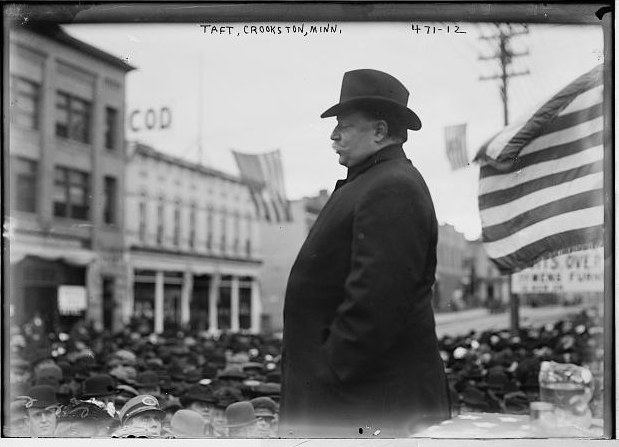 Through the summer Taft was hanging back, assessing the political climate, trying to determine how best to campaign. By September 1908, however, it was clear that he was going to have to defend his labor record from Bryan’s attacks. 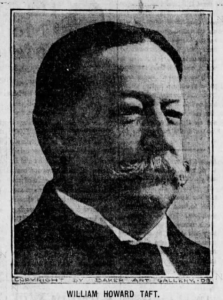 Taft needed to align himself with the more progressive agenda of the Republican Party as announced at the June convention. He had also been briefed on the tenuous situation in Indiana and knew he needed to appeal directly to Hoosier farmers if he wanted to win the state. The rally planned at Ade’s farm was an opportunity the candidate could not pass up. Taft accepted the invitation sent to him by Chairman Hernly. Judge Taft’s first address on his Western speaking tour will be made at Brook, Ind., on Sept. 23. 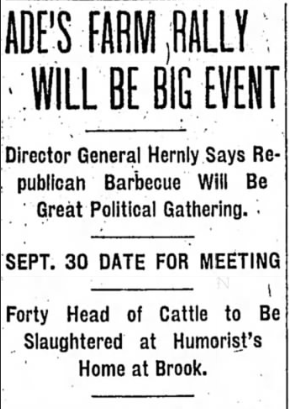 It will be at a big Republican rally on the farm of George Ade, the Hoosier humorist and politician. Notably, the newspaper reported that Taft would be following the route that William Jennings Bryan had undertaken in his campaign. The morning of September 23, Taft and his staff boarded a five car train dubbed “The Taft Special” and headed for Indiana. 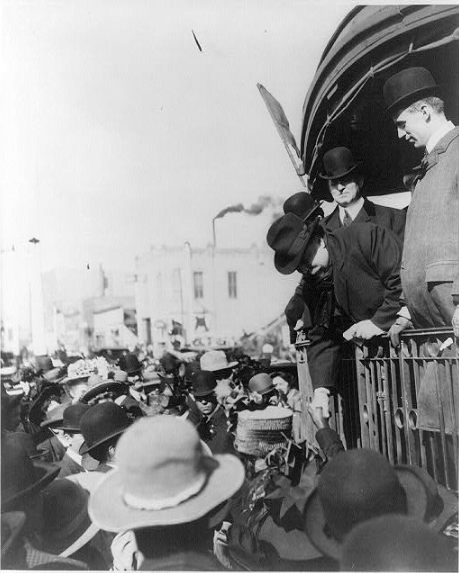 The train stopped briefly in Indianapolis, where Taft shook hands with local politicians and waved to the approximately 200 people gathered to greet him. He joked with the crowd, forgoing a formal speech. The Taft Special stopped again briefly in Lafayette and switched tracks at Sheff before arriving at Ade station just west of Brook. Ade and a welcome committee arrived in a six car caravan to take Taft, staff, and guests to Hazelden. Prints & Photographs Online Catalog. 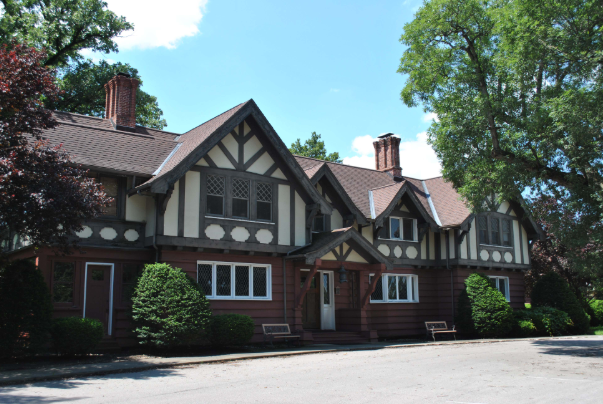 All forenoon, from miles around the countryside, buggies, family carryalls, hay racks, and farm vehicles of every description crowded the roads leading to Hazelden, the country home of George Ade. When the candidate, seated in the humorist’s automobile, reached the farm he was driven through a veritable gauntlet of vehicles hitched to telephone poles, fence posts, trees, or anything else calculated to restrain the horses. Indianapolis News, September 24, 1908, 4, Newspapers.com. 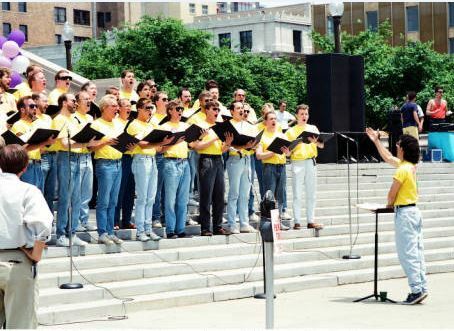 Before the arrival of the Taft party there was a concert by the Brook Band and later by the Purdue Military band, followed by short speeches from some of the local statesmen. At noon the Second Regiment Band, of Chicago, gave a great display of daylight Japanese fireworks. When the Taft party appeared in sight down the road, a dozen bombs were hurled in the air — the explosions resembled a salute by a gun squad and the air was filled with smoke as if from a battle. The frameup of Ade’s latest act was all that could be desired. It was elaborately staged, and the scenery was all that nature could do for one of the prettiest places in northern Indiana, and the actors were of a pedigree out of the ordinary. 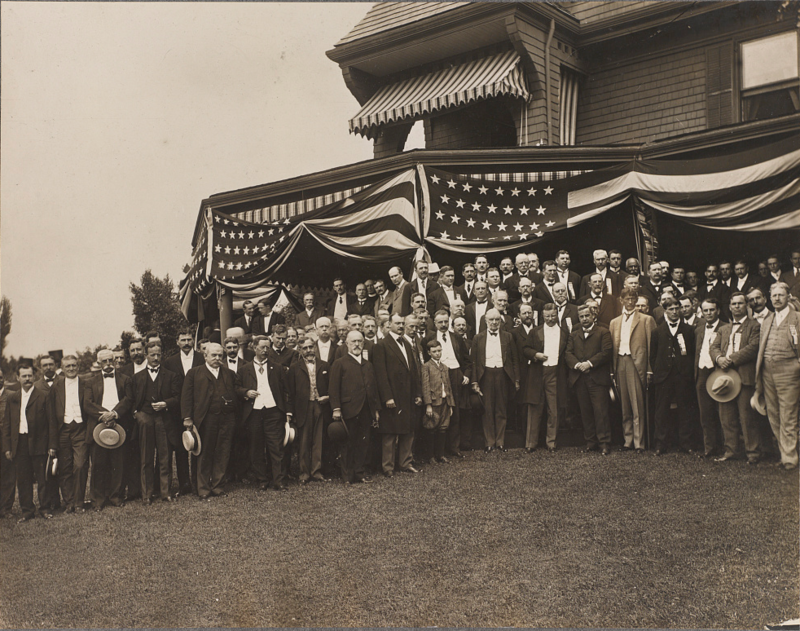 Upon arrival, the official party had lunch in the Ade home while the crowd purchased “full dinner pails,” a reference to the 1900 Republican slogan that appealed to the labor vote and helped William McKinley defeat William Jennings Bryan. At 1:15 p.m., Ade and Taft appeared on the decorated speaker’s platform. Ade introduced the candidate, and Taft officially kicked off his campaign. Brook Reporter, September 25, 1908, 1, Newspapers.com. Taft had not only remembered Ade from the notification committee, he was a fan of the writer’s work, “The Sultan of Sulu,” which was set in the Philippines. 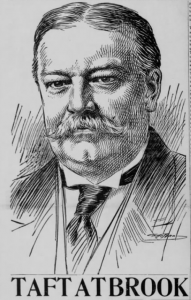 Taft had presided over the U.S. commission overseeing the new U.S. protectorate of Philippines under McKinley and spent a great deal of time there. 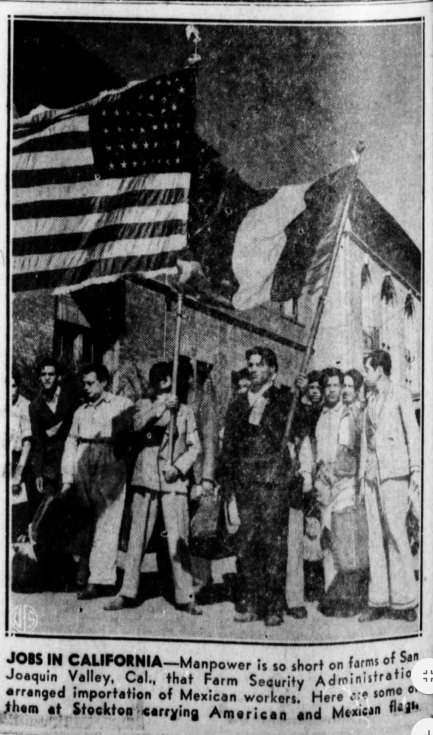 National newspapers reported that Taft referred to Ade as “the Indiana Sultan of Sulu” and stated that “the Philippine original had no advantage over Ade.” Then, Taft got down to brass tacks. I was told if I came here I should have the privilege of meeting 10,000 farmers of the State of Harrison and [former Indiana Governor Oliver P.] Morton, and I seized the opportunity to break my journey to Chicago to look into your faces and to ask you the question whether your experience as farmers with Mr. Bryan and your recollection of his course since 1892 is such as to command him to you as the person into whose hands you wish to put the executive power over the destinies of this nation for four years. Library of Congress Caption: Taft Crookston, Minn. [Minnesota], Prints & Photographs Online Catalog. 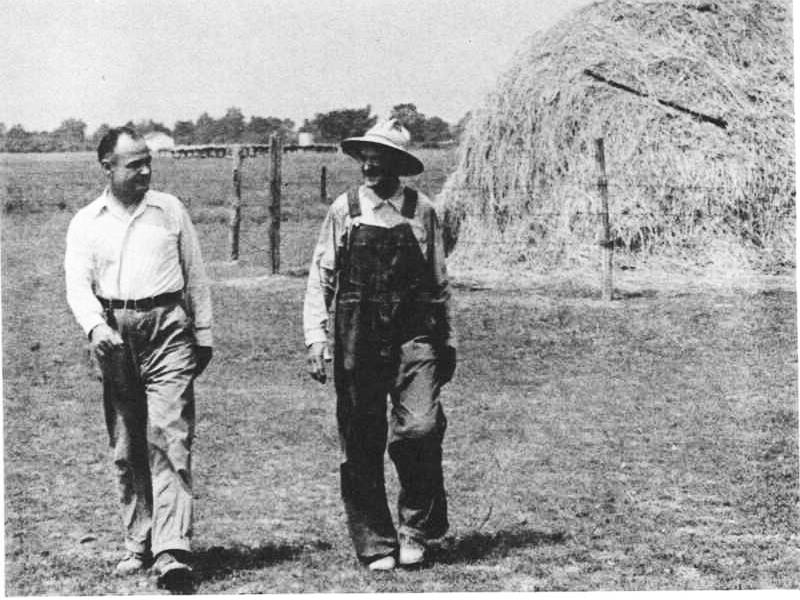 Taft then espoused the progressive policies of the Republican administration that had directly improved farmers’ lives. 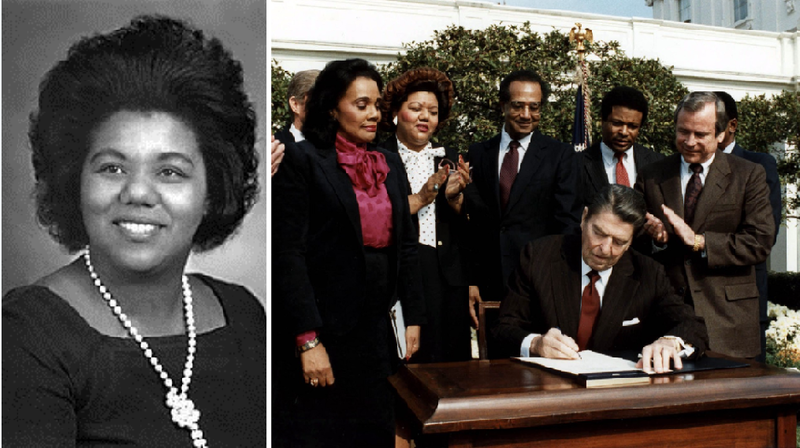 He especially focused on the administration’s introduction of free rural mail delivery, which helped to connect farmers to new ideas, keep them up-to-date on news, and reduce the feeling of isolation from which many rural people suffered. Taft’s direct appeal to the farmers worked. The Brook Reporter could scarcely believe that “Mr. 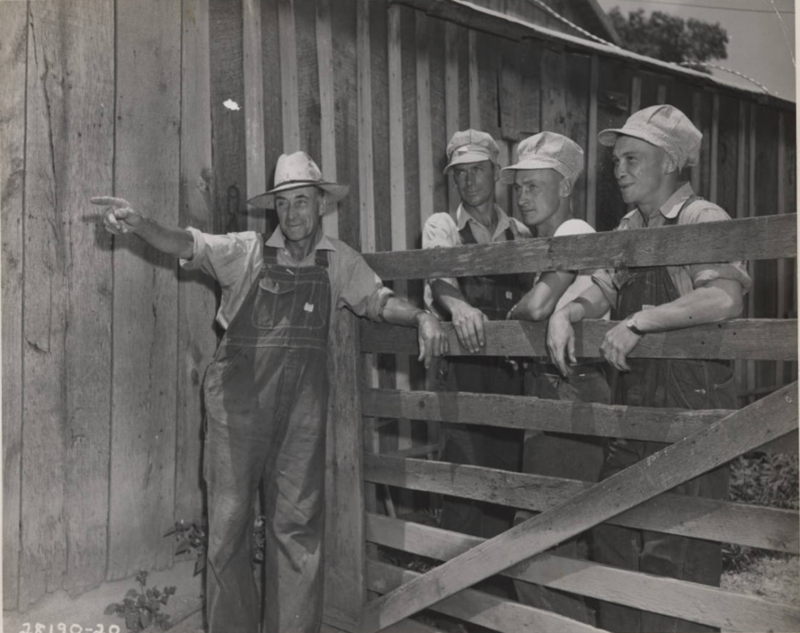 Taft would notice a small town like Brook.” The Indianapolis News ran the headline: “Brook Now On The Map, Thanks To George Ade.” In November, Hoosier farmers went to the polls. And while the split in the Indiana Republican Party proved fatal to the state ticket, Hoosiers chose Taft by over 10,000 votes. Taft was inaugurated March 4, 1909 as the twenty-seventh President of the United States. 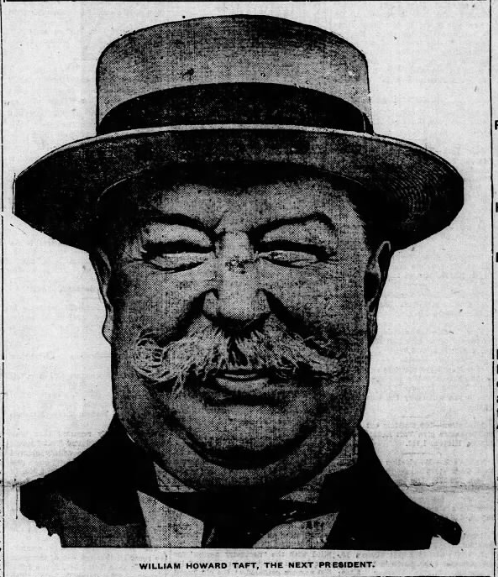 Taft’s Indiana stop marked a sea change in campaign strategy. At Hazleden, Taft introduced the political tactics into his repertoire that he would hone through the rest of his tour and helped win him the election. 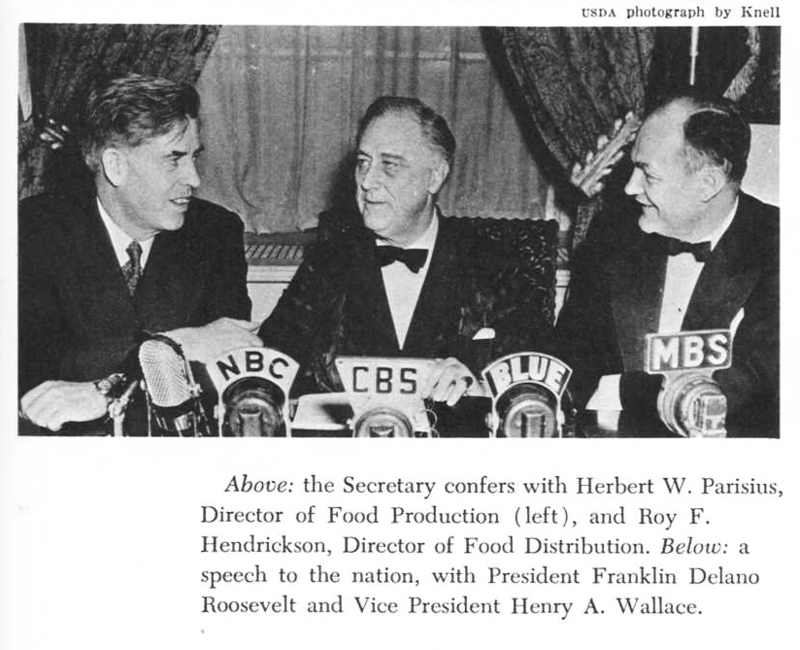 He promoted the Republican platform as a progressive agenda that would benefit farmers and laborers. 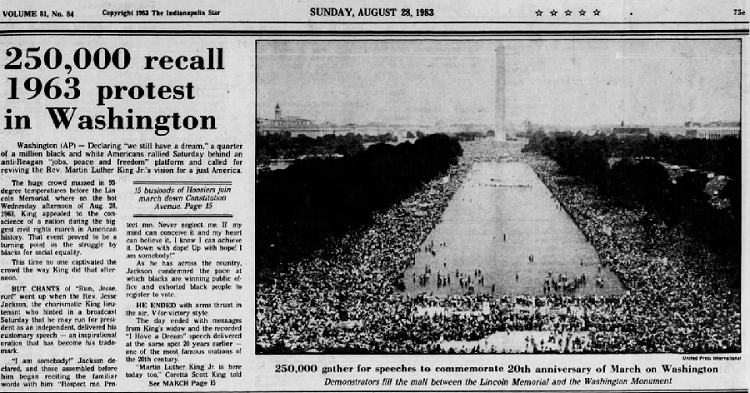 He crafted a likable, jovial, and personable image by speaking casually and humorously with crowds, while still seriously addressing their concerns. 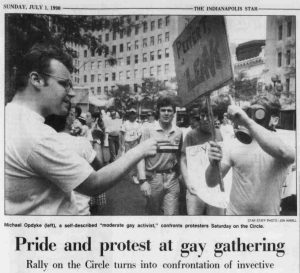 He went on the offense against his opponent in a manner the Baltimore Sun called “aggressive,” stopping in many places where Bryan had recently spoken in order to rebut his opponent’s statements. And perhaps, most importantly, he shook hands and flashed that unbeatable Taft smile at as many voters as his schedule would allow. Through sheer spectacle and tenacity, the man who had squashed labor strikes as a judge was now the candidate of the working man. A little support from Teddy didn’t hurt either, but Taft’s tour of the Midwest shaped him as a speaker and directly led to his election. And the 1908 election became the first where the Republican and Democratic candidates campaigned actively – an irreversible break with convention, as we see each election season through social media, a steady stream of ads, and even late night shows. It’s enough to make you nostalgic for the ol’ front porch. 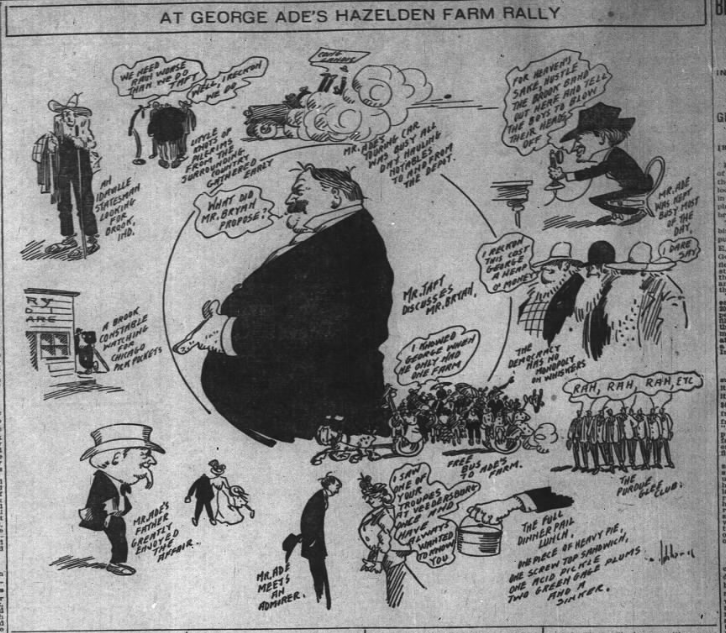 “George Ade’s Rally at Hazelden Farm,” Indianapolis News, September 23, 1908, 1; “George Ade As Sultan,” Buffalo Mourning Express and Illustrated Buffalo Express, September 24, 1908, 3; “Brook Now On The Map, Thanks To George Ade,” Indianapolis News, September 24, 1908, 4; “Taft Appeals To Labor,” Baltimore Sun, September 24, 1908, 2; “Taft Defends His Record On Labor,” New York Times, September 24, 1908, 3, accessed TimesMachine; “Taft at Brook,” Brook Reporter, September 25, 1908, 1, accessed Newspapers.com. Peri E. Arnold, “William Taft,” Miller Center of Public Affairs, University of Virginia, https://millercenter.org/president/taft. Jeffrey Bourdon, “‘Just Call Me Bill:’ William Taft Brings Spectacle Politics to the Midwest,” Studies in Midwestern History 2, no. 10 (October 2016): 113-138, accessed Grand Valley State University. 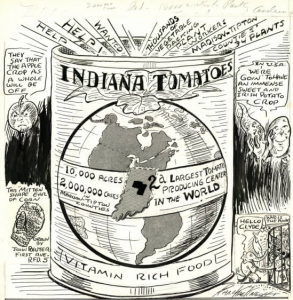 Howard F. McMains, “The Road to George Ade’s Farm: Origins of Taft’s First Campaign Rally, September, 1908,” Indiana Magazine of History 67, no. 4 (December 1971): 318-334, accessed Indiana University. 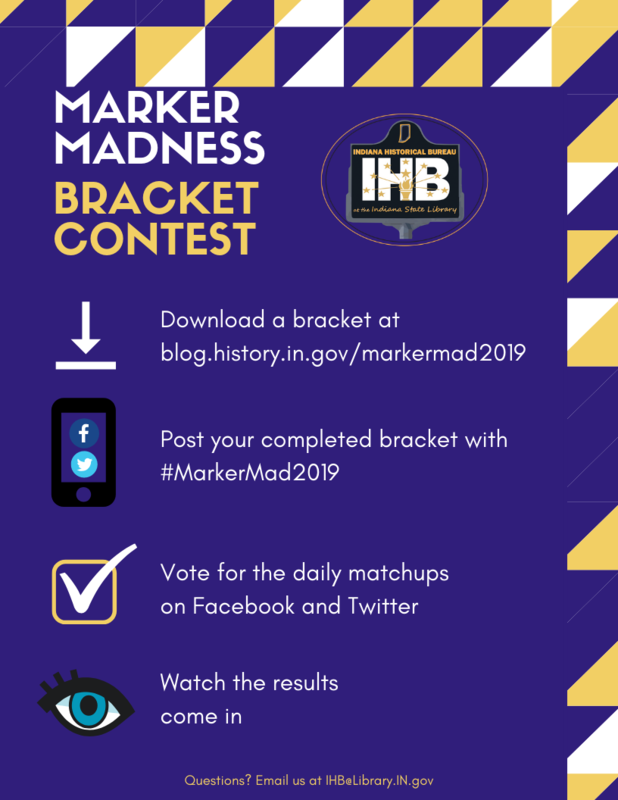 While the rest of Indiana is gearing up for March Madness, IHB is excited to announce the second annual Marker Madness! In 2018, we pitted 32 potential marker topics against each other every day in March until, in the end, we came up with one winner – the Tuskegee Airmen at Freeman Field. This year, we have 32 NEW potential marker topics from across the state. Each day, there will be a featured match up from one of the four regions: Northwest, Southwest, Northeast, and Southeast and YOU get to decide which topic will move forward. 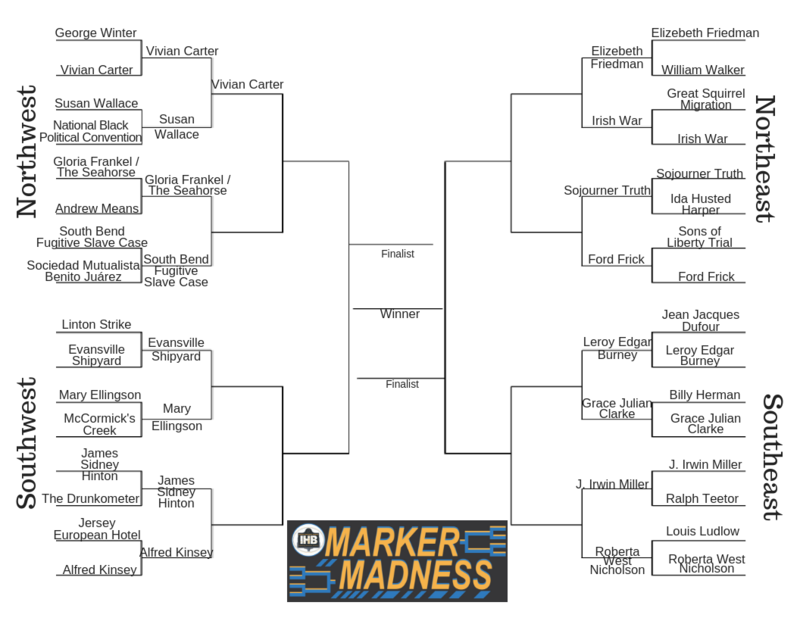 Below are the results of 2019 Marker Madness as of Monday March 18, 2019. Voting for the featured match will start daily at 5:00 am and close at 5:00 the next morning. You can vote on Facebook and Twitter so follow us on both to participate! Check back here to see the results and the updated bracket. Want to get even more involved? Fill out your own here and post it on social media using #MarkerMad2019 by March 1, 2019. The person who gets the most individual matchups correct will win an Indiana gift bag containing a t-shirt (size S-2XL), an 1816 Indiana Map, and a copy of Getting Open: The Story of Bill Garrett and the Integration of College Basketball. See the contest rules here. Beckley: The countryside surrounding the Wea train station, just west of Lafayette, was dark and quiet on the evening of September 28, 1898. In the distance, a train whistle sounded and soon the light from the engine drew nearer. It was a freight train, owned by the Wabash Railroad Company and as it passed it bellowed black smoke into the night sky. On board, Edward Ragan, the train’s fireman, shoveled coal into the burning hot boiler in front of him while the engineer, Oscar Johnson, maintained their speed at about 25 miles per hour. Suddenly, the world turned upside down. Beckley: The sound was deafening and neither man could see a thing but falling debris as the car overturned. The two men were buried beneath tons of coal, wood, and steel. The boiler had exploded, ripping the engine to shreds. Some time later, Edward Ragan awoke with injuries to his spine, head, and internal organs – but he was the lucky one. Oscar Johnson didn’t make it out at all. In the months after the accident, Ragan found that he would not be able to return to work for years, if ever at all. After living 9 months without a salary, Ragan filed suit in Fort Wayne. He alleged that the accident was avoidable and the fault lay with the Wabash Railroad company, which he accused of neglecting the routine maintenance of the engine. He wanted $30,000 – the equivalent of about 45 years of his income at the time of the crash. He settled for $4,000 – less than 5 years of wages. Not much when you consider he likely never worked again but it was all he would get in a time before social safety nets and worker’s compensation. Just 3 years later, a political party would be formed on the foundation of providing insurance against accidents, pensions for the injured, and bettering the conditions of all workers in the United States – the Socialist Party of America advocated for all of these changes. Today, we’ll discuss one of the men behind this political movement and examine the high water mark of the party. Support of socialism in America has fluctuated wildly over the years. Today, it’s used as a sort of political buzzword. Sometimes it’s a stand-in for communism and sometimes for countries with comprehensive welfare systems. Some people hear socialism and think of Soviet Russia, Red China, and Cuba. Others think of nationalized healthcare, free college tuition, and an extensive social safety net. Today, I ask you to set any preconceived notions you may have to one side. Not so that we can promote socialism or even pass judgment on it, but rather so we can attempt to gain a historical understanding of the movement and how it became a viable option for many Americans. Put yourself in the shoes of someone like Edward Regan whose life was blown apart in an instant. Or like the millions of men and women just like him who toiled in factories and mines without paid time off, safe working condition, or even clean air to breath. 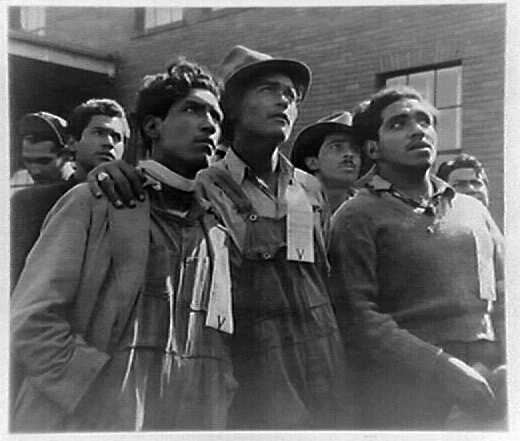 Once you begin to understand the plight of workers at the time, you may start to understand what drew so many people to socialism in the late 19th and early 20th centuries, regardless of your political persuasion. One of those people drawn to socialism – and, indeed, drawing people to socialism – was Eugene V. Debs. Debs grew up in Terre Haute, Indiana, the son of French Immigrants. He left school at the age of 14 and took a job with a local Railroad Company. At 20, he joined the Brotherhood of Locomotive Firemen and soon became a national figure within that organization. 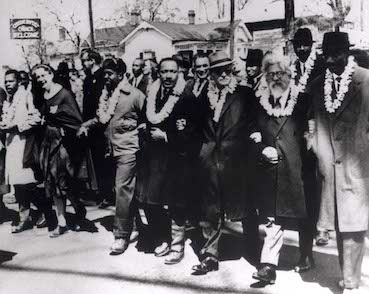 He devoted the rest of his life to labor activism and the advancement of the working classes. Voice actor reading from Debs: A strike at the present time signifies anarchy and revolution, and the one of but a few days ago will never be blotted from the records of memory. The question has often been asked, Does the Brotherhood encourage strikers? To this question we most emphatically answer No, Brothers. To disregard the laws which govern our land? To destroy the last vestige of order? To stain our hands with the crimson blood of our fellow beings? We again say, No, a thousand times No. Beckley: Seventeen years after writing those words, Debs burst onto the national stage at the forefront of one of the largest railroad strikes in American history – the Pullman strike. By this time, in 1894, Debs had left the Democratic Party for the populists and formed his own union, the American Railway Union. 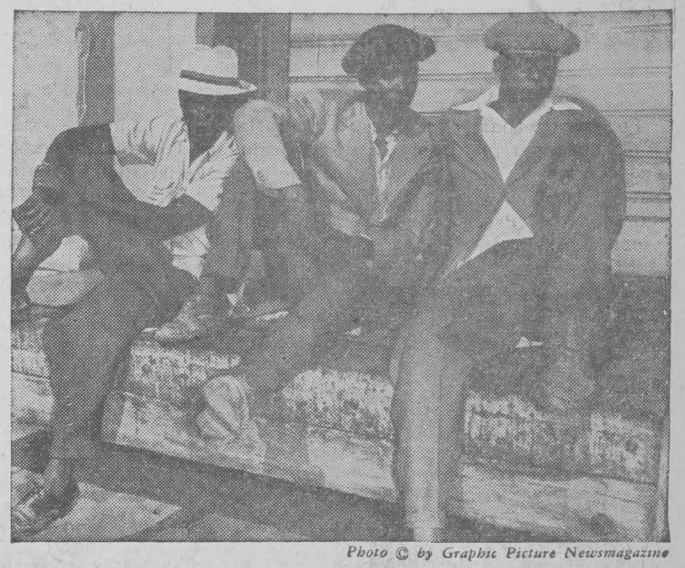 The ARU was one of the first union to admit all railroad workers, regardless of their specialty or skill level – and about 35 percent of Pullman’s workforce were members. In the year leading up to the strike, wages had been slashed by an average of 33 percent at the Chicago factory. 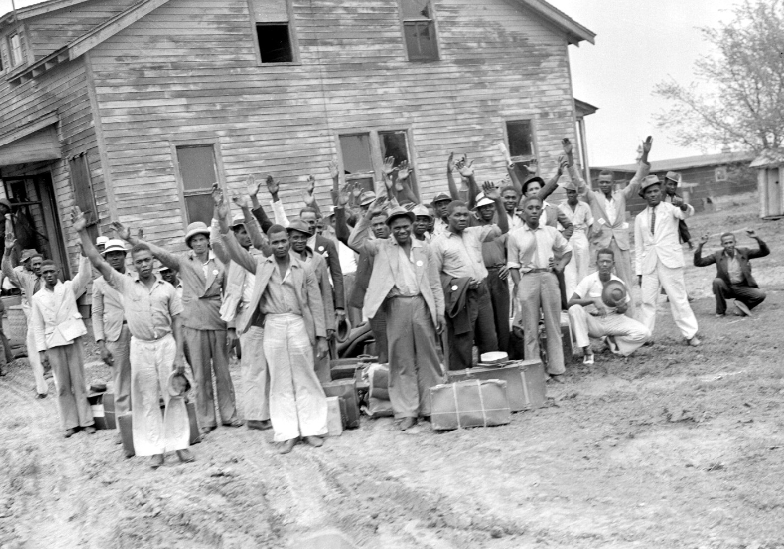 This, along with increasingly difficult working conditions, led the workers to call a strike. 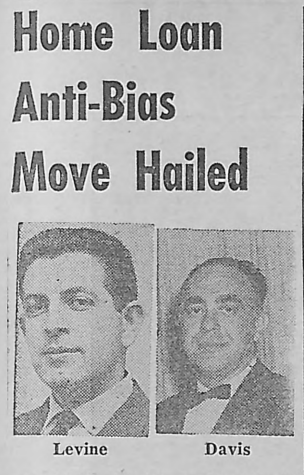 At first, the ARU was reluctant to officially back the strike but after leaders heard testimonials from workers, an official, nationwide boycott of the Pullman Company was ordered by the union. Beginning on June 25, 1894, ARU workers refused to handle Pullman cars. 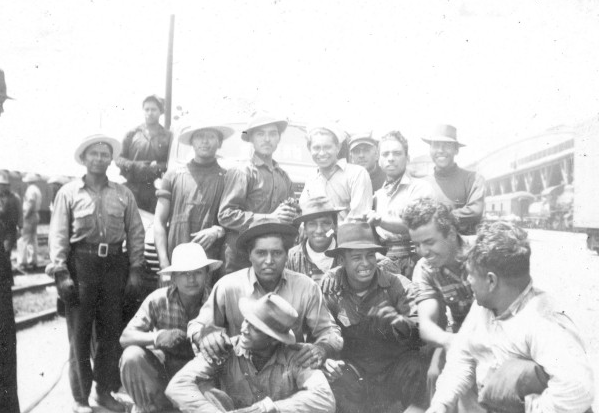 If management refused to detach Pullmans from trains – and most did – the workers refused to work at all. 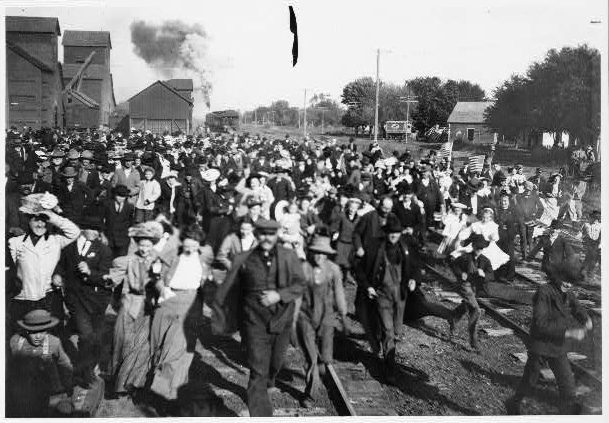 Over 100,000 workers went on strike, effectively bringing all rail travel west of Detroit to a standstill. 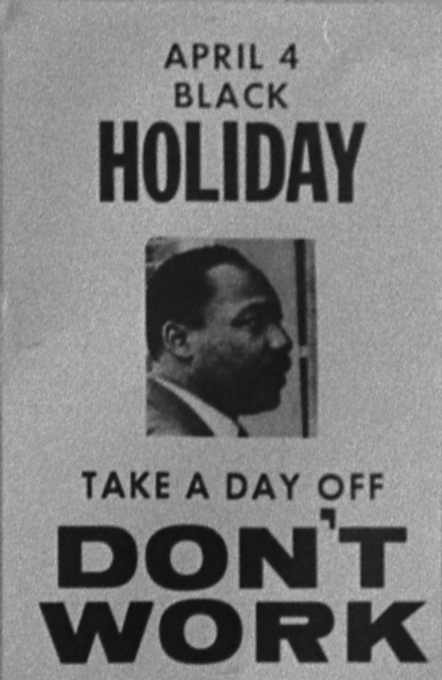 For nearly 2 weeks, the strike remained peaceful. The strikers received a great deal of support in Chicago and it seemed that the strike may be a success. 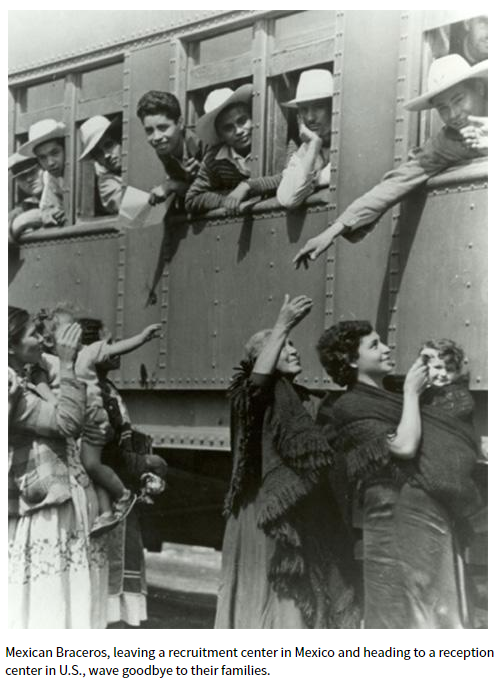 Then, the federal government passed an injunction ordering an end to the strike, ostensibly because it was affecting the transportation of mail, but realistically, the government was caving to the pressure of the Railroad conglomerates. President Grover Cleveland sent thousands of troops to Chicago to enforce the injunction. 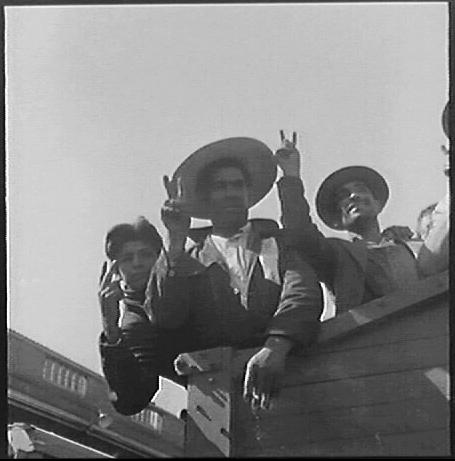 The presence of these troops agitated the strikers and violence broke out on July 4. The riots that followed resulted in millions of dollars in damage, the deaths of 30 people, and, eventually, the failure of the strike. 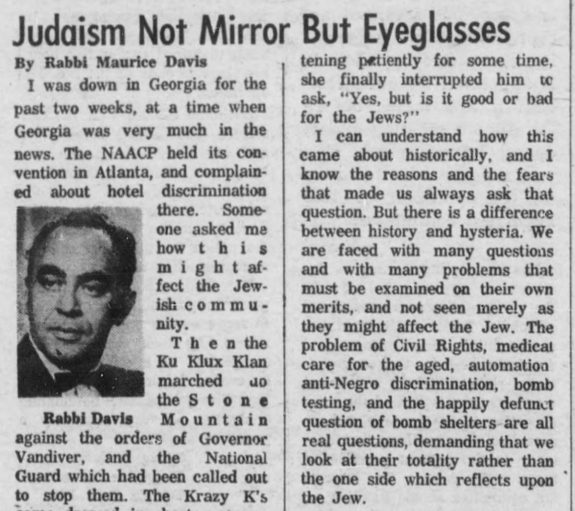 Debs was heavily criticized by the press – a New York Times editorial called him “a lawbreaker at large, an enemy of the human race.” He was arrested and charged with contempt of court for violating the injunction. He was found guilty and spent the next 6 months in jail. Voice actor reading from Debs: I do not call myself a socialist. Voice actor reading from Debs: Speaking for myself, I am a socialist… The issue is, Socialism vs. Capitalism. I am for socialism because I am for humanity. 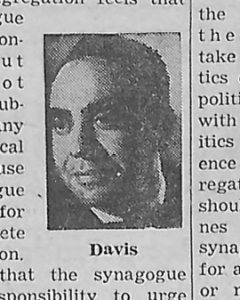 Beckley: Considering Debs was already such a recognizable public figure in addition to being an accomplished political and labor organizer, it’s unsurprising that he skyrocketed to the forefront of the movement. In 1900, he was the presidential nominee for the newly formed Social Democratic Party of America. 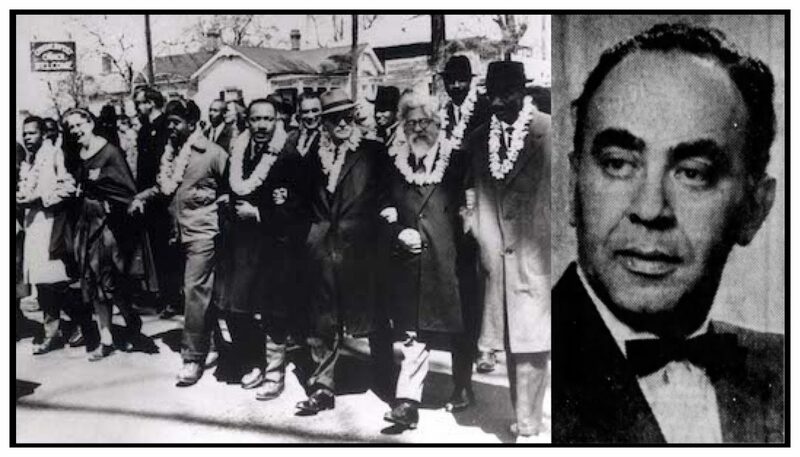 Then, when that organization merged with other factions to form the Socialist Party of America, he received the nomination in 4 of the next 5 presidential elections – 1904, 1908, 1912, and finally 1920. Voice actor reading from 1904 platform: We, the Socialist party…make our appeal to the American people as the defender and preserver of the idea of liberty and self-government, in which the nation was born. To this idea of liberty the Republican and Democratic parties are utterly false… They alike struggle for power to maintain and profit by an industrial system which can be preserved only by the complete overthrow of such liberties as we already have, and by the still further enslavement and degradation of labor. Voice actor reading from Debs: For shortened days of labor and increase of wages; for the insurance of the workers against accident, sickness, and lack of employment; for pensions for aged and exhausted workers; for the public ownership of the means of transportation, communication, and exchange; for the graduated taxation of incomes, inheritances, and of franchise and land values, the proceeds to be applied to public employment and bettering the condition of the workers; for the equal suffrage of men and women; for the prevention of the use of the military against labor in the settlement of strikes; for the free administration of justice; for popular government, including initiative, referendum, proportional representation, and the recall of officers by their constituents; and for every gain or advantage for the workers that may be wrested from the capitalist system, and that may relieve the suffering and strengthen the hands of labor. Beckley: Overall, these objectives don’t seem wildly radical from a modern standpoint, but when compared to the major party platforms from the same year, it’s clear that what they were suggesting was quite extreme. 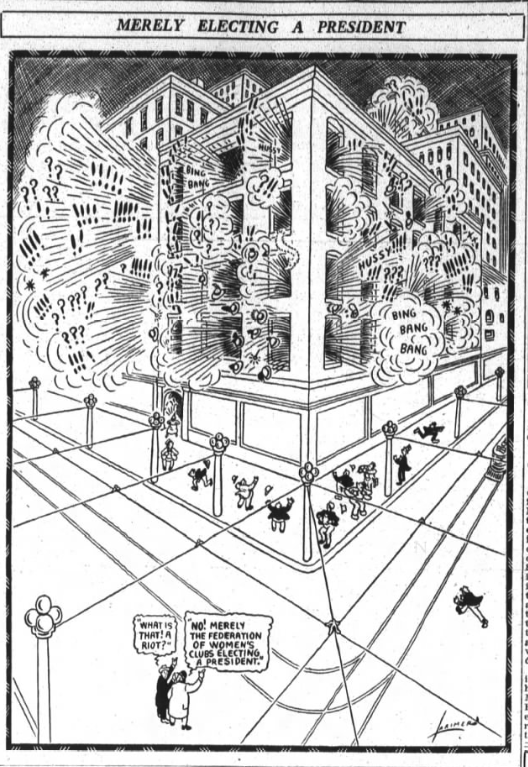 But by the time we get to the 1912 presidential election, something interesting happens. There were 4 main parties in this election. Theodore Roosevelt had formed the progressive party, often called the Bull Moose Party, after failing to receive the Republican nomination. Then, of course, there were the Democrats and Republicans. 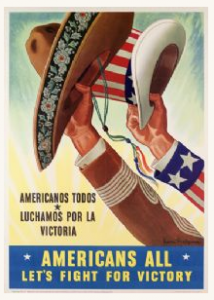 And, rounding out the field, was the Socialist Party of America. 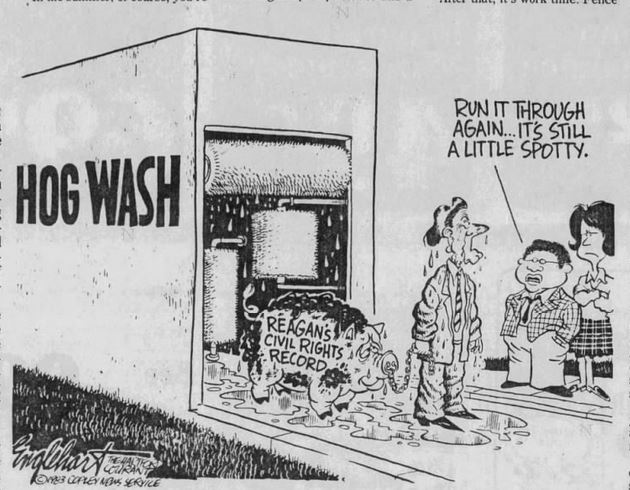 But more interesting still was that all 4 parties were touting some form of progressivism, each with their own flavor. If we extend the metaphor, we might say that three of the parties were at least in the same flavor profile. The Republicans, Democrats, and Progressives shared a lot of characteristics, at least on economic issues. They promoted tariff reform, federal regulations on monopolies, and anti-trust laws. Generally, they supported the reform of the existing structure in order to address the problems facing the nation – poor working conditions, government corruption, and other problems arising from the rapid economic growth of the American Gilded Age. Beckley: And where other parties were concerning themselves with arguing over the merits of protective tariffs, the socialist platform didn’t even contain the word tariff. Voice actor reading from 1912 party platform: The abolition of the Senate and of the veto power of the President…Abolition of all federal districts courts and the United States circuit court of appeals…Abolition of the present restrictions upon the amendment of the Constitution, so that instrument may be made amendable by a majority of the voters in a majority of the States. 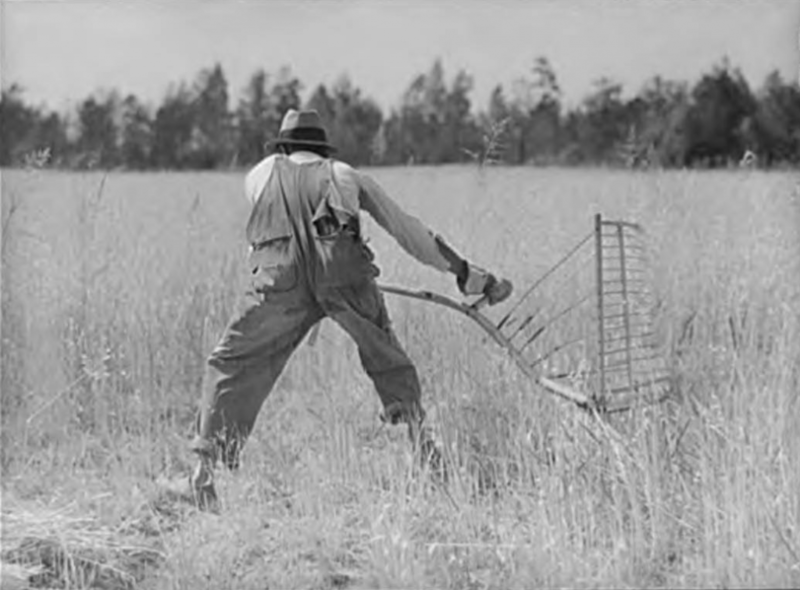 Beckley: Of course, we’re doing a bit of cherry picking there. The overwhelming majority of the platform would hardly raise an eyebrow today. 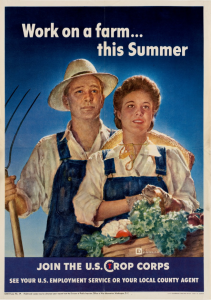 Objectives like government provided unemployment assistance, shorter workdays, child labor laws, equal suffrage, and a minimum wage made up the bulk of the platform. 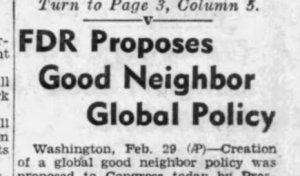 But even so, much of those policy points would have been fairly radical had they been enacted. The thing is, many people wanted something radical. 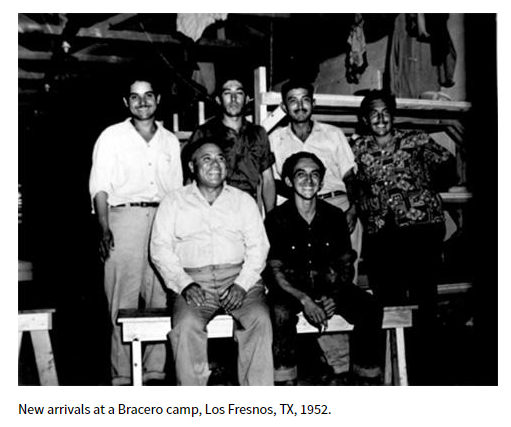 They were living and working in nearly unimaginable conditions and nothing that either major political party had done up to that point had changed that. In fact, the same year it was competing against 3 other parties all promising progress, 1912, is widely considered the high water mark of Socialism in America. Voice actor reading from Debs: The supreme issue in this campaign is Capitalism versus Socialism. The Republican hosts under Taft, the Democratic cohorts under Wilson and the Progressive minions under Roosevelt are but battalions of the army of capitalism. Opposed to them are the ever augmenting phalanxes of the world’s workers, organizing in the ranks of the Socialist party, to do battle for the cause of Socialism and industrial emancipation. No longer can the political harlots of capitalism betray the workers with issues manufactured for that purpose. The beating of tariff tom-toms, the cry for control of corporations, the punishment of “malefactors of great wealth,” the wolf cry of civic righteousness under capitalism, will not avail the politicians in this campaign. They have bunched all the so-called issues of all the capitalist parties, along with wage slavery, poverty, ignorance, prostitution, child slavery, industrial murder, political rottenness and judicial tyranny, and they have labeled it “Capitalism.” They are bent upon the overthrow of this monstrous system and upon establishing in its place an industrial and social democracy in which the workers shall be in control of industry and the people shall rule. The Socialist party offers the only remedy, which is Socialism. It does not promise Socialism in a day, a month, or a year, but it has a definite program with Socialism as its ultimate end. The hour has struck! The die is cast and Socialism challenges the institution of Capitalism. Beckley: The hour for Socialism had indeed struck, though not loudly enough. 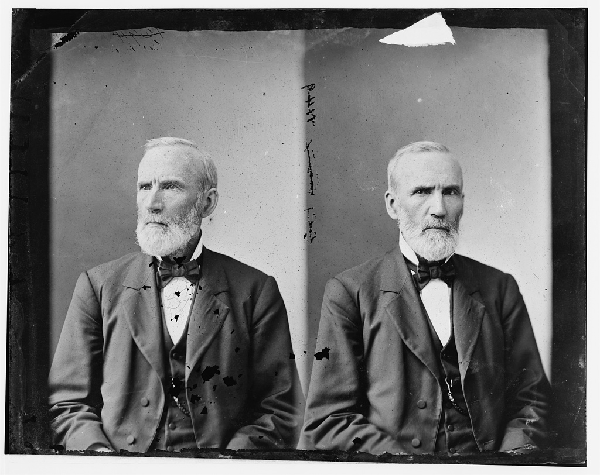 When the votes were tallied, Debs had earned over nine hundred thousand votes or nearly 6 percent of the popular vote – more than double his 1908 total but still far short of a winning percentage. The Espionage and Sedition acts sparked the first Red Scare which resulted in more than 2,000 people being tried for speaking out against the war. One of those people tried and convicted was Eugene Debs himself who delivered a speech on June 16, 1918 in Canton, Ohio which led to his arrest and conviction. 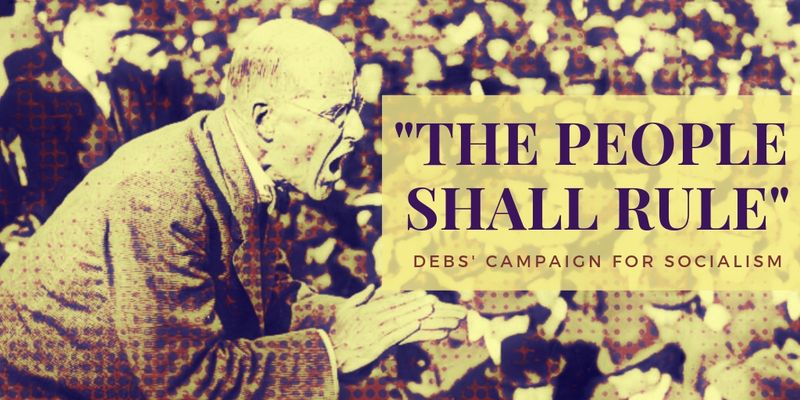 Debs was sentenced to 10 years in prison and he ran for the presidency for the last time in 1920 from his jail cell. He earned only a small percentage of the popular vote, a reflection of the unsteady state of the party. In the years after that loss, the Socialist Party of America continued to weaken and fracture until, in 1972, it was dissolved completely. But in its wake, socialist ideas have continued to influence the party system. In fact, that’s one of the lasting legacies of the Socialist movement in America. In the years between 1904 and 1912, key tenets of the Socialist Party platform began showing up in the Democratic and Republican platforms alike. After the progressive era, the Democratic Party in particular adopted many policies that were once solely in the realm of socialists – things like Social Security, the minimum wage, and federal disability. This is often the effect political movements –weather they be left of right of center. They cause a shift in the political base, resulting in a shift in the political platforms of the major parties to which they pose a threat. Weather it’s the socialist movement driving the Democratic Party towards the adoption of social welfare in the 20th century, the Tea Party movement encouraging the Republican party to take a hard line on immigration in the 2010s or the Democratic Socialists of America moving the present Democratic party towards single payer healthcare, political movements have always had a fundamental impact on the major political party platforms in America. 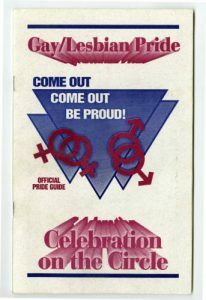 Once again, I’m Lindsey Beckley and this has been Talking Hoosier History, a product of the Indiana Historical Bureau which is a division of the Indiana State Library. Talking Hoosier History is written by me, Lindsey Beckley. Production and sound engineering by Jill Weiss Simins. 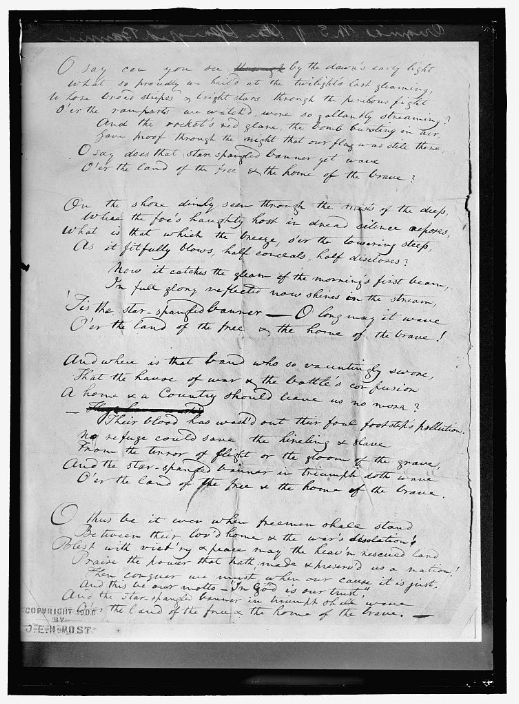 Excerpts read by Justin Clark, courtesy of the Indiana Archives and Records Administration. 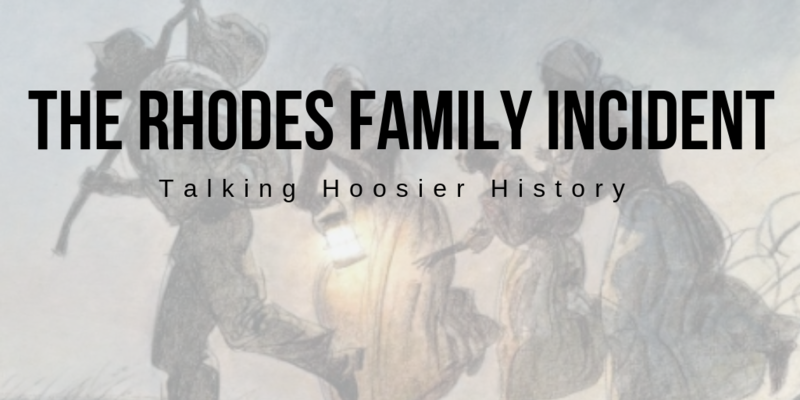 Visit blog.history.in.gov and click “Talking Hoosier History” to see all of the sources for this episode. Find us on twitter and facebook as Indiana Historical Bureau. And please take a moment to like, rate, and review us wherever you get your podcasts. And as always, thanks for listening. Nick Salvatore, Eugene V. Debs: Citizen and Socialist, University of Illinois Press, 2007. Census of Manufacturers: 1905, Earnings of Wage-Earners, Government Printing Office, 1908, https://babel.hathitrust.org/cgi/pt?id=nnc1.cu56779232;view=1up;seq=1;size=150. “Locomotive Boiler Explodes,” Indianapolis News, September 29, 1898, page 2, Newspapers.com. (Huntington) Daily News-Democrat, October 3, 1898, Page 3, Newspapers.com. “Ragan’s Big Suit,” Fort Wayne Sentinel, June 26, 1899, Page 1, Newspapers.com. “Other Court Notes,” The Fort Wayne News, September 28, 1899, Page 8, Newspapers.com. “James Ragan Gets $4,000,” Fort Wayne Sentinel, October 20, 1899, Page 1, Newspapers.com. 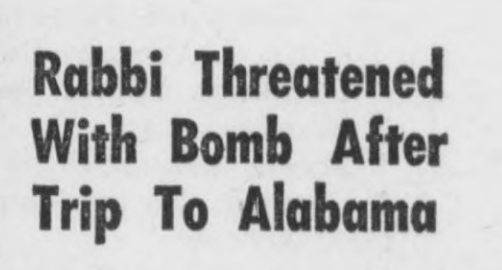 Courtesy of The Fort Wayne News, Oct 30, 1915, 14. Historians often refer to the Suffrage Movement. However, an examination of its leaders shows many movements with sometimes conflicting goals and methods. Evaluating the campaign for the Indiana General Federation of Women’s Clubs presidency in 1915 illustrates this and provides a glimpse into the everyday happenings of suffrage at the local and state levels, including slandering efforts that reflect our modern-day politics. Grace Julian Clarke is most notably remembered for her local advocacy as a clubwoman, journalist, and staunch supporter of women’s suffrage. 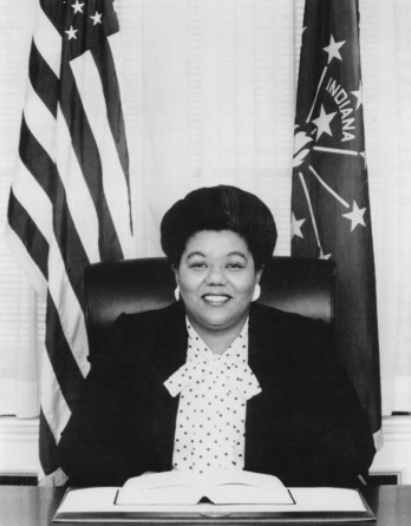 Living and working primarily in Irvington, Indiana—annexed by Indianapolis in 1902—she attended Indianapolis Public Schools and graduated from Butler University (located in Irvington at the time). She earned her B.A. 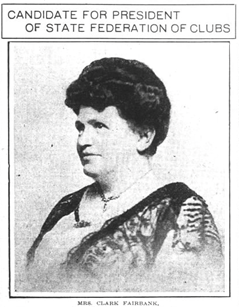 in 1884 and her M.A. in 1885 in philosophy. She was the daughter of George W. Julian and granddaughter of Joshua Reed Giddings, both of whom were leading abolitionists and members of the United States Congress. Laura Giddings, Clarke’s mother and the daughter of Joshua Reed Giddings, exposed Clarke to women’s organizations when she, and others, organized the Indianapolis Woman’s Club in 1875. 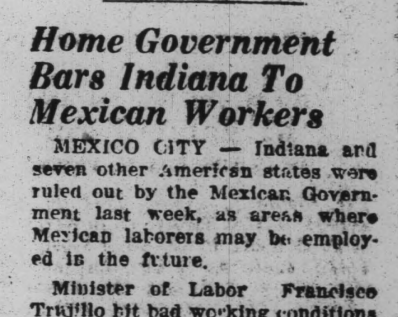 The Indianapolis Star, October 21, 1916, 11, accessed Newspapers.com. Furthering familial ties to political and legal activists, Clarke married attorney Charles B. Clarke on September 11, 1887. In addition to practicing law, Charles Clarke also served in the Indiana Senate in 1913 and 1915. Prior to their marriage, Charles had worked closely with George W. Julian as a U.S. Deputy Surveyor in the New Mexico Territory. Grace was a writer for the Indianapolis Star from 1911 to 1929. She authored three publications related to her father— George W. Julian Vol. 1, Indiana Biographical series; Later Speeches on Political Questions: With Select Controversial Papers; and George W. Julian: Some Impressions. Furthermore, Clarke was a founder, president, and activist for numerous women’s clubs in Indiana between 1892 and 1929. Clarke’s work, however, was not always marked by success. In 1915, Clarke declared her support for Terre Haute’s Lenore Hanna Cox in the campaign for president of the Indiana General Federation of Women’s Clubs. Cox, however, was ultimately defeated in a landslide by Carolyn Fairbank of Fort Wayne. The political conflict between Cox and Stella Stimson, with movers and shakers like Grace Julian Clarke at the forefront, demonstrates women’s political activism and ambition prior to obtaining enfranchisement. Far from bystanders of the male-dominated political sphere, women were at the foreground of their own political wars before they could legally vote. 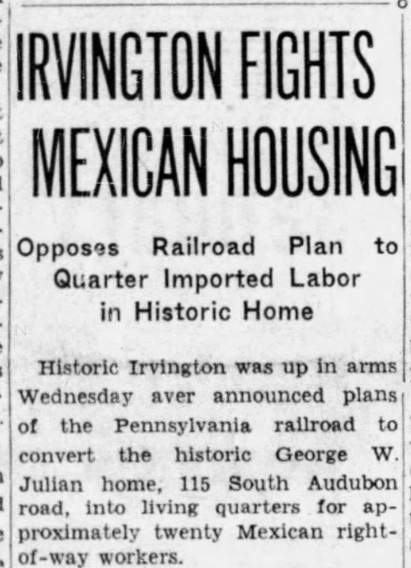 The Indianapolis News, October 20, 1915, 7, accessed Newspapers.com. Clarke’s, Cox’s, and Stimson’s political engagements reflect passion founded not only on morality and ethics, but also political gain. 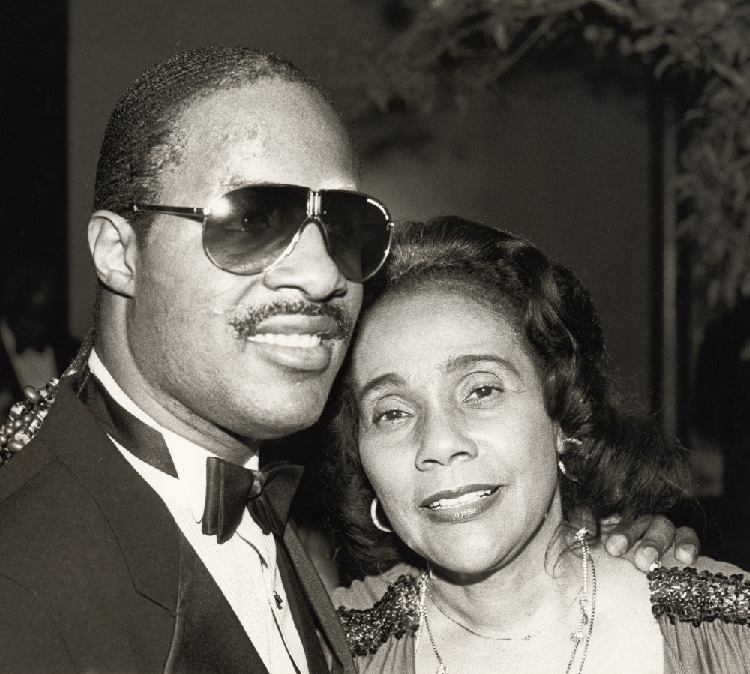 Clarke’s dedication to Cox illustrates a failed political alliance in an otherwise successful lifetime vocation. Clarke was prepared to risk her reputation to advance her political agenda. The same is true for Stimson, although Stimson engaged in manipulative politics reflective of allegations against male politicians in newspapers. Thus, evaluating the campaign demonstrates the complex layers associated with suffragists and clubwomen during the years leading up to enfranchisement. It further demonstrates how women complied with and rebelled against social normative values and beliefs. 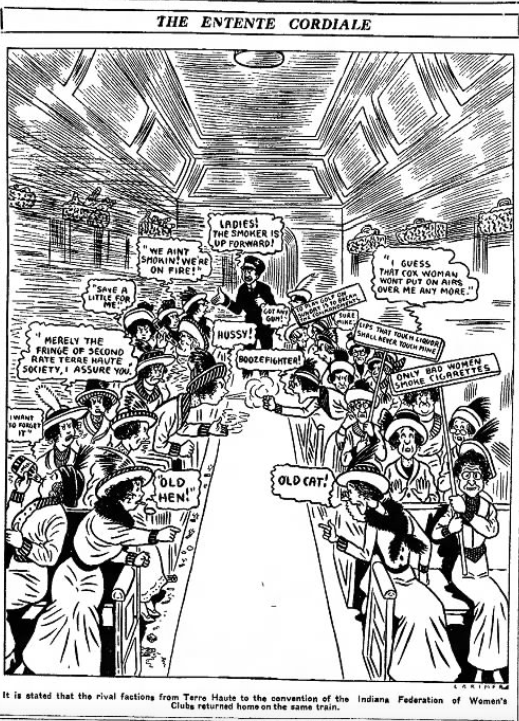 The 1915 election gained widespread attention from clubwomen and men alike. Clarke strongly detested Cox’s most formidable opponent, Stella C. Stimson, for her participation in what Clarke viewed as unethical campaign practices. Caught in a battle of circulating letters in which personal attacks were made against Cox, Stimson stated that she would not be running for presidency. 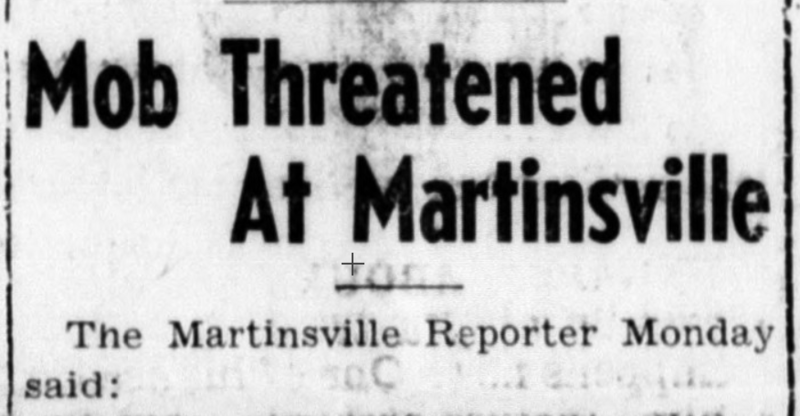 Yet even without formally running against Cox, Stimson was by far Cox’s foremost threat. Cox and her supporters suspected that Stimson was using Fairbank as a fill-in candidate to enact her own temperance agenda. 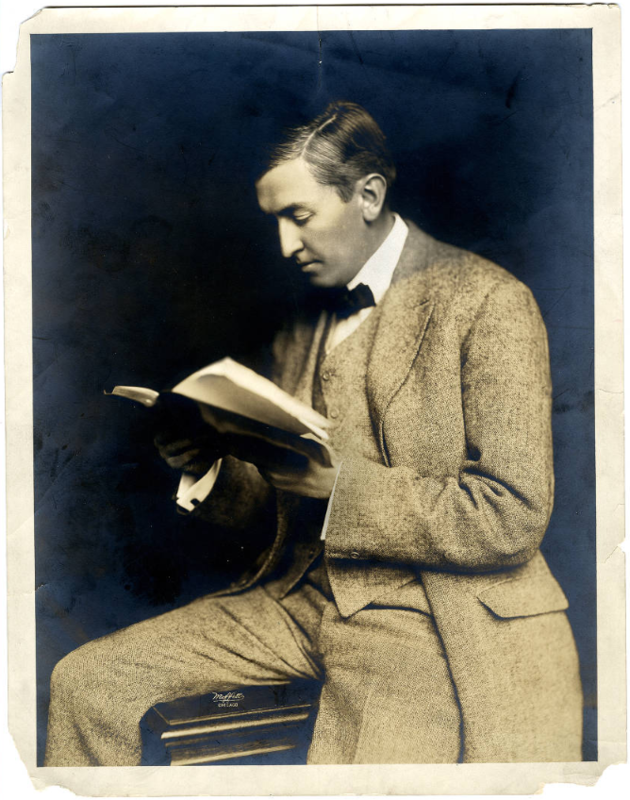 Cox and her loyal supporters did not hesitate to publicly retaliate after Stimson began circulating “scandalous rumors” including allegations that Cox was a cigarette smoker, saloon supporter, perpetual curser, and an atheist. Grace Julian Clarke spearheaded the campaign against Stimson, disputing both publicly and privately that Stimson was disloyal, as well as a liar and cheater, as shown by her deceitful assault on Cox. Clarke further criticized Stimson for engaging in what the Indianapolis Star referenced on November 9, 1915 as “machine politics” during the campaign, including allegations that she was active in having the franchise vote thrown out at the Federation convention. This contention ultimately led to formal requests for Stimson’s resignation as a Woman’s Franchise League of Indiana’s board member in the weeks after the election. Although Stimson claimed that she had not tampered with the votes, it is undeniable that she had aggressively campaigned throughout the state to guard the Federation from Cox’s leadership. Courtesy of Jacob Piatt Dunn’s and General William Harrison Kemer’s Indiana and Indianans: A History of Aboriginal and Territorial Indiana and the Century of Statehood. this has come to be a much more important matter than just the election of one woman. It has turned into a struggle between the progressive and the reactionary elements and may mean a great deal for the future of the federation in Indiana. Within a very short period, the election became critical to the future of women’s clubs and qualifications for leadership in the Federation. For Clarke and Stimson, the election was also critical in defining whether temperance or suffrage would become the club’s priority. Stimson was closely associated with the Women’s Christian Temperance Union and known to be “an antiliquor enthusiast,” whose interest “colors and dominates everything with what she is connected.” While women like Stimson looked to end liquor sales in a feminist effort to protect women and children’s physical safety from drunken husbands, other societies looked to make suffrage their top priority. 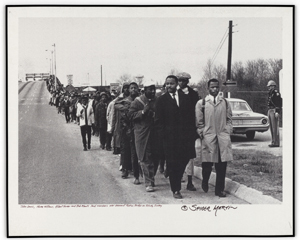 The difference in conviction was based predominantly on one’s individual background. In her thesis “Women in Voluntary Service Association: Values and Meanings,” Sarah Katheryn Nathan describes the fundamental incentives behind women’s voluntary associations. She concludes that volunteerism is motivated by personal need. For Stimson, the election meant preserving conservative female values while pushing a temperance agenda. Yet Stimson did not want to muddy her own reputation by seeming fraudulent, and therefore, unsuccessfully, attempted to scapegoat Fairbank on the ballot. For Clarke, supporting Cox consequently challenged the status quo of women’s roles and disassociated temperance agendas to further advance suffrage. Clarke was able to advocate for suffrage, perhaps as a result of her personal privilege and familial influence. Many women in Indiana who led suffrage organizations were financially secure, married to politicians that supported their endeavors, had no children, and were predominantly Protestant. It is also worth analyzing Clarke’s motivations because of her father’s work toward suffrage. “Julian, Rep. Hon. George Washington of Indiana,” glass negative, circa 1865-1880, accessed Library of Congress Prints and Photographs Division. Clarke explained her background in suffrage, stating in a letter to Miss Boswell on May 8, 1914 that “my father had the honor of introducing the very first suffrage amendment in the Congress shortly after the Civil War. 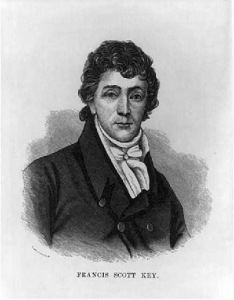 This is to show you why I cannot be a trimmer [one who does not commit to a party or issue].” Although historians question whether Julian was in fact the first to propose such an amendment, and though he was ultimately unsuccessful in passing suffrage legislation himself, the extent of her father’s work compelled Clarke to follow in his political footsteps. This aligns with Nathan’s analysis that an individual’s personal background plays a strong role in why and how people are socialized into voluntary behaviors, especially that of how a father’s membership in a group can be a motivating factor for an individual to further a similar cause. The conflict between temperance and suffrage motivations, regardless of underlying motivation, was put aside occasionally for a common cause. Such solidarity, however, quickly crumbled under what Barbara Springer calls “petty pride.” It was difficult for reform groups to find the right woman who could both delegate authority and inspire loyalty to multiple factions. This was true for Clarke, who was directly situated between club and suffrage groups. Despite the “efficiency, dedication, and zeal” of leaders like Clarke, these women were also, on many occasions, to blame for the failure of early enfranchisement. 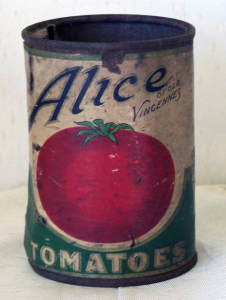 Historian Dr. Anita Morgan characterizes an example of this failure in her article “The Unfinished Story: Indiana Women and the Bicentennial.” She describes how an early victory for women’s suffrage in Indiana was foregone as state politicians increasingly feared that a vote for suffrage meant a vote in favor of temperance legislation. However clear or not to women that their efforts were weakened by restive factions, women like Stimson, Cox, and Clarke continued to remain monolithic for personal ambition and petty pride. Courtesy of The Fort Wayne Daily News, October 27, 1915, 18. The 1915 election for president of the Indiana Federation of Women proves that women during the early 20th Century were political beings who were driven by their own personal agendas. By specifically examining how women like Grace Julian Clarke were motivated, influenced, and able to both successfully and unsuccessfully advocate on the local and state level, a more cohesive narrative of the suffrage movement in the United States is formed. It can be concluded that Clarke was heavily influenced by her father’s work toward suffrage at the peak of his political career, and that she likely would not have felt such a strong connection to the goals of suffrage without his influence. The perspectives of archetypal suffragists and clubwomen like Clarke, Cox, and Stimson in Indiana reflect the typically overlooked narrative of the late 19th and early 20th centuries. This narrative reflects resistance to the dominant cultural expectations of women during the time to retain a ladylike persona. 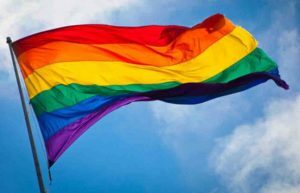 It simultaneously demonstrates an increasing divergence from such expectations, as seen through their campaign tactics regarding slandering and manipulative politics. In effect, stories of women-dominated politics at a local level complement the larger narrative of suffrage— one that so desperately calls for a three-dimensional evaluation of both private and public achievements. Karen J. Blair, The Clubwoman as Feminist: True Womanhood Redefined, 1868-1914 (New York: Holmes & Meier Publishers), 1980. 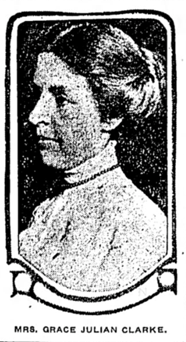 Blanche Foster Boruff, Women of Indiana. Indianapolis: Indiana, Indianapolis, Women’s Biography Associations, Mathew Farson, 1941. Grace Julian Clarke, George W. Julian (Indianapolis: Indiana Heritage Commission, 1923). Grace Julian Clarke, “George W. Julian: Some Impressions,” Indiana Magazine of History 2, no. 2 (June 1906): 57-69. 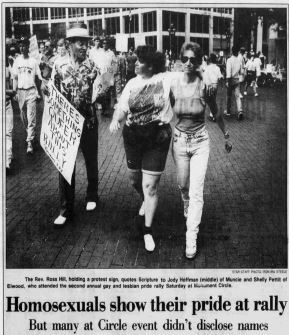 Nancy Gabin and Anita Morgan, “Taking Indiana Women’s History into the Twenty-First Century,” Indiana Magazine of History 112, no. 4 (2016): 283-288. 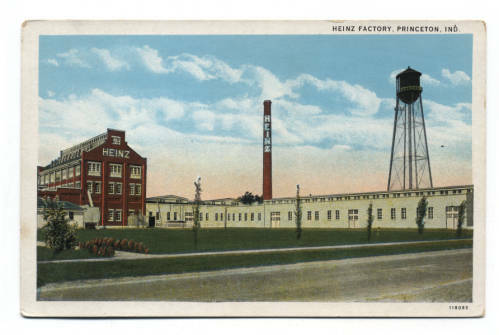 Courtney Grace Gates, History: Indiana Federation of Clubs (Fort Wayne: Fort Wayne Printing Company), 1939. Grace Julian Clarke Papers, Manuscript and Rare Books Division, Indiana State Library. Linda C. Gugin and James E. St. Clair, Indiana’s 200: The People Who Shaped the Hoosier State (Indianapolis: Indiana Historical Society Press), 2015. Jennifer M. Kalvaitis, “Indianapolis Women Working for the Right to Vote: The Forgotten Drama of 1917,” MA Thesis, Indiana University, 2013. Anita Morgan, “The Unfinished Story: Indiana Women and the Bicentennial,” Traces of Indiana and Midwestern History 28, no. 4, (2016). Sarah Katheryn Nathan, “Women in Voluntary Service Associations: Values and Meanings,” MA Thesis, Indiana University, 2013. Karen Manners Smith, “New Paths to Power: 1890-1920,” No Small Courage: A History of Women in the United States. Edited by Nancy F. Cott (Oxford University Press, 2000), 363. 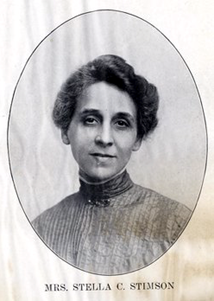 Barbara A. Springer, “Ladylike Reformers: Indiana Women and Progressive Reform, 1900 to 1920,” Ph.D. diss., Indiana University, 1985.